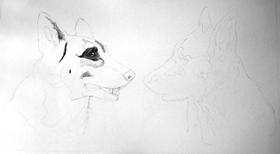 To the left is the composite mock that I will be using to draw the portrait of these two beautiful dogs. 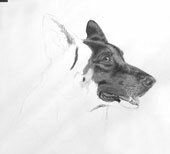 The basic sketch for this portrait can be seen as rough outline made in pencil. 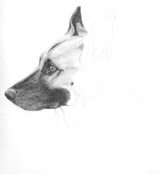 A dog's head portrait is slowly emerging as I continue to add the fine details of Zeus' face. 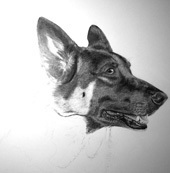 With Zeus' face now complete, next I will work on the thick fur of his neck. A handsome Zeus! 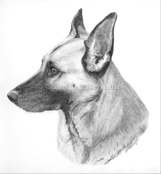 Once Zeina's portrait is complete, you will be able to see the full pose with both dogs. Zeina's pretty face is coming to life. Her facial mask is not as dark as her companion's. 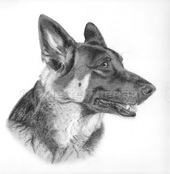 This dog's portrait is now complete. 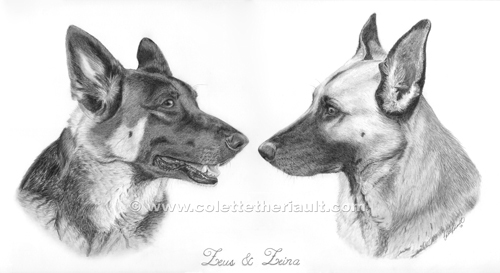 Look at the finished drawing to see them both together. 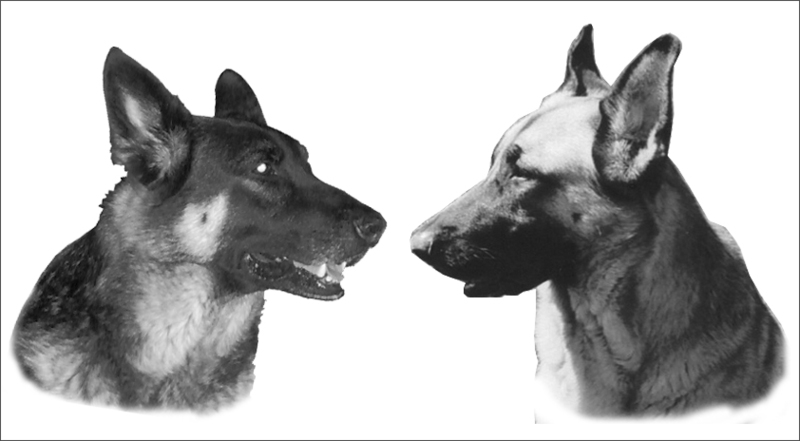 An awesome pose of two beautiful German shepherd dogs!